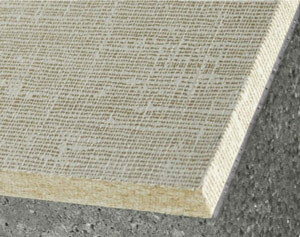 EverLast™ Wall Panels may be used for interior as well as exterior basement walls. Total Basement Finishing (TBF) offers EverLast™ Basement Wall Panels that are superior to soft insulation wall finishing systems for basements. The result of two years of research and development, the construction of the TBF wall paneling makes for a durable, solid and long-lasting solution. TBF comes with 2 1/2" of Silver-Glo high-density foam insulation, a 1/2" of hard cement board, and a decorative vinyl covering. Together, they create a stylish, resilient construction that can hold as much as 300lbs (136kg) without breaking, buckling or otherwise failing. TBF EverLast™ wall paneling is installed without the need for wooden or metal framing or studs. To get a free estimate for our EverLast™ Basement Wall Panels, contact your local TBF dealer today! Wooden framing can rot and get moldy while metal framing is prone to rust and weakens the insulative quality of buildings it has been installed in. This means that heavy shelving, cabinets, large pictures, a flat-screen LCD or plasma TV, and more can easily be installed on the panels without worry or the need to search the walls for wall studs. Research has found off-white and beige to be the most popular wall colors on the market. Our TBF finished wall system combines those two colors into an attractive, subtle design that is timeless and complimentary to any type of furniture and dÃ©cor. Holes in the refinished basement wall panels from screws, nails, or other fasteners can be easily and almost invisibly concealed by sealing the hole with a tiny amount of white putty. The blended white and beige design of the walls aids in concealing the mark. TBF wall panels combine a vinyl-covered, hard cement board with high-density foam insulation to create an extremely water resistant basement wall panel. TBF wall paneling, along with the rest of the Total Basement Finishing System, is made to stay beautiful for as long as possible. Damage-resistant and fiberglass free, its inorganic design means that it will not support mold or mildew growth like drywall will. And, unlike drywall, our TBF wall panels are resistant to damage from moisture and water. Additionally, they are resistant to stains, washing easily and surfaced to be able to withstand most day-to-day wear and tear. The panels install quickly, without creating the mounds of dust and debris that drywall installation generates. TBF Basement Finishing Wall Panels are designed to be versatile and comfortable enough to fit any basement remodeling plan. If you are planning on installing a partition or closet in your basement, TBF Finished Basement Wall Panels are also available in two-sided paneling, with our stylish decorative vinyl on both sides. The panels are acoustically dampening, helping to prevent sound from traveling out of your basement. Additionally, the SilverGlo™ foam insulation gives the wall paneling an industry-leading R-13 insulation value that increases the energy efficiency of the home. Additionally, our finished wall paneling is equipped with a Class 1 Fire Rating- the highest rating available for combustible materials! Remodeling your basement with Total Basement Finishing makes the whole house a quieter, safer, more comfortable place! Total Basement Finishing basement wall panels make up a part of the TBF Solution, which includes a basement floor finishing system, a suspended basement ceiling tile system and a basement window and enclosure system. These four basement finishing systems comprise the top of the line in basement remodeling! 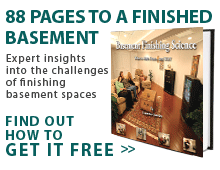 Contact us for a FREE Basement Finishing Estimate with your local TBF dealer!